Christmas is the busiest time of year for Royal Mail with the company employing an extra 20,000 people to deal with the extra deliveries made up to the final posting dates. Yet there have been many times in the organisation's 500-year-old history when its postal workers have been tested in other ways as bizarre objects are put in the mail. BBC News looks at the some of the strangest things that have travelled through the UK's postal system. 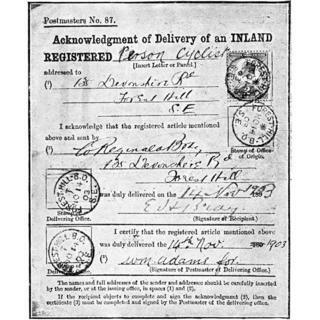 The introduction of Parcel Post in 1883 saw the first packages being delivered by Royal Mail and it was not long before all sorts of weird and wonderful things were being despatched. 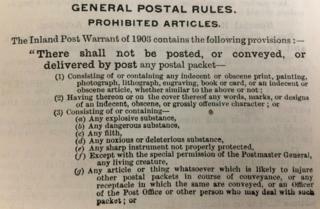 "In the past it was possible to send any manner of things," Chris Taft, head of collections at the Postal Museum, explains. "There were rules and regulations about what could be sent but they were much slacker than nowadays." The controls meant items that were considered dangerous or disgusting were intercepted in the post. 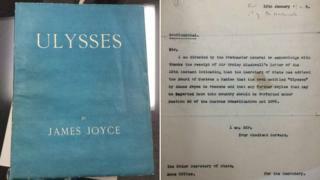 Examples of these can be found in the museum's archives including a first edition of Ulysses by James Joyce which was thought to be obscene and a letter to Lord Curzon that featured an "abusive" address. Yet objects you would think would not be allowed could be delivered by postmen - including living and dead creatures. Like today, food was commonly sent but it was often unpackaged because the rules stated game could be sent as long as it had a name label on the neck and would not leak. 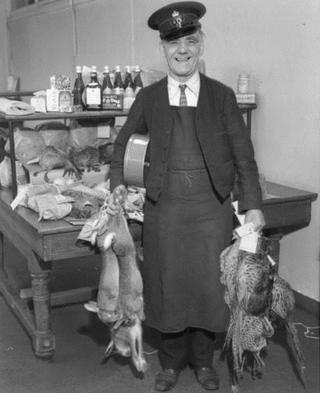 Living creatures were also posted, sometimes against regulations and at great risk to the people who delivered them. 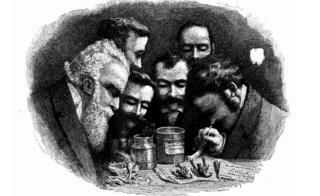 A magazine article from the 1890s told the tale of a jar of live scorpions having to be examined by "reckless" postal staff after it was transferred to the Returned Mail Office. However, even more unexpected living beings were to make their way in the post. "There was nothing in the rules to say you couldn't send people", Mr Taft said. 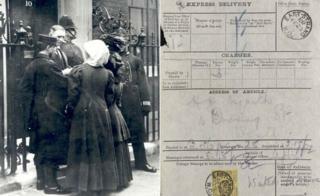 In 1909 two suffragettes, Miss Solomon and Miss McLellan, used the Royal Mail's same-day courier service to post themselves to 10 Downing Street so they could deliver their message personally to Prime Minister Herbert Asquith. 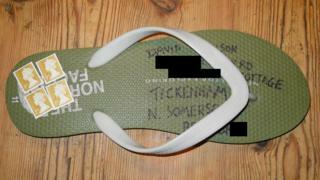 Yet Miss Solomon and Miss McLellan were not the UK's first "human letters". W Reginald Bray, an accountant from Forest Hill in south-east London, claimed to hold that honour having posted himself successfully in 1900, then again in 1903 and for a last time in 1932. 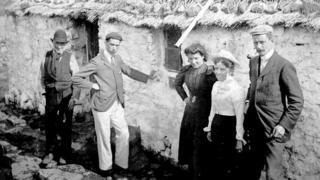 According to John Tingey, who has extensively studied Bray, the Londoner was an "eccentric" and "just slightly bonkers". 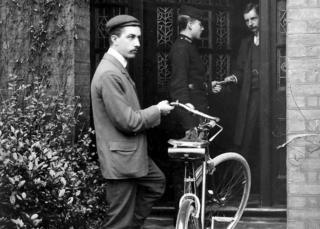 "He was not the only person in the Victorian era to be testing the postal system, but he pushed it to the limits." Having purchased a copy of the Post Office Guide, Bray discovered it was possible to send living creatures by Express Messenger as long as they were larger than a bee but smaller than an elephant. As a result he successfully posted himself and his faithful Irish terrier, Bob. Other items that also made it to their destinations were a frying pan, a rabbit skull, and a turnip he dug up outside a Post Office in Ireland before carving the address into its flesh. 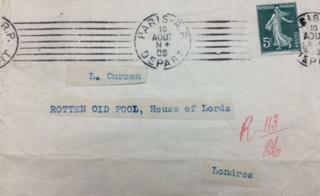 By the time of his death at the age of 60 in 1939, Bray is thought to have put about 30,000 items in the mail. 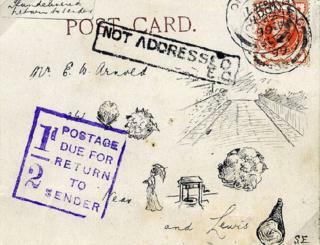 These also included messages sent in unusual envelopes such as a crocheted letter created for him by his mother, and a postcard addressed to "The Driver, Locomotive No. 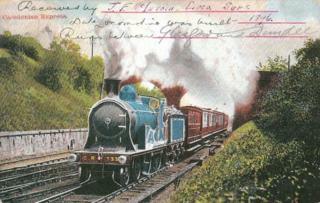 133, Caledonian Railway, Glasgow Station". 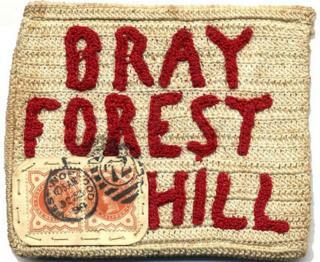 Yet Bray was not always successful and occasionally his letters were returned to him. A card sent to 361 Brockley Road, near Ladywell Wood and Lewisham, was rejected because postal workers could not figure out the intended address, while one sent to Santa Claus was also considered undeliverable. The antics of W Reginald Bray live on today in the form of an established network of "mail artists" who send unusual objects through the post to one another. Many have not heard of the odd London accountant but for author David Bramwell, Bray was the reason he gave it a go. "I found myself totally captured by his story," he said. 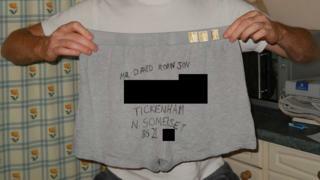 Bramwell and his friend David Robinson spent a year sending inanimate objects to each other through the post. 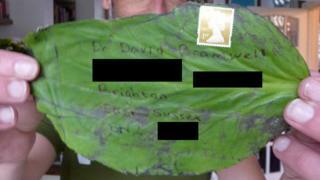 The unwrapped items successfully sent by the pair included underwear, an apple, a piece of toast and a leaf. "Only one object didn't work and that was a toilet roll which must have unravelled in the postbox," he said. 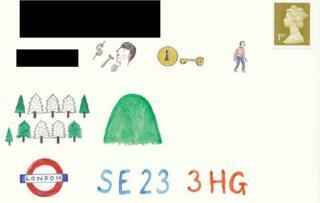 Illustrator Harriet Russell released her book Envelopes after successfully sending over 100 letters where the addresses were written as cryptic puzzles. She said she began experimenting by using indecipherable handwriting or addresses written backwards to see how challenging an address had to be for it not to get to its destination. "These arrived, so I then came up with devising puzzles for the postmen to work out, such as crosswords, word searches and anagrams." But what of the poor postal workers who have to decipher and deliver such items? Royal Mail says it would prefer these fripperies were not sent "as they can be delayed and also delay other mail" and advises that a return address should always be included on mail. Something to think about next time you're about to post a cryptically-addressed piece of toast.